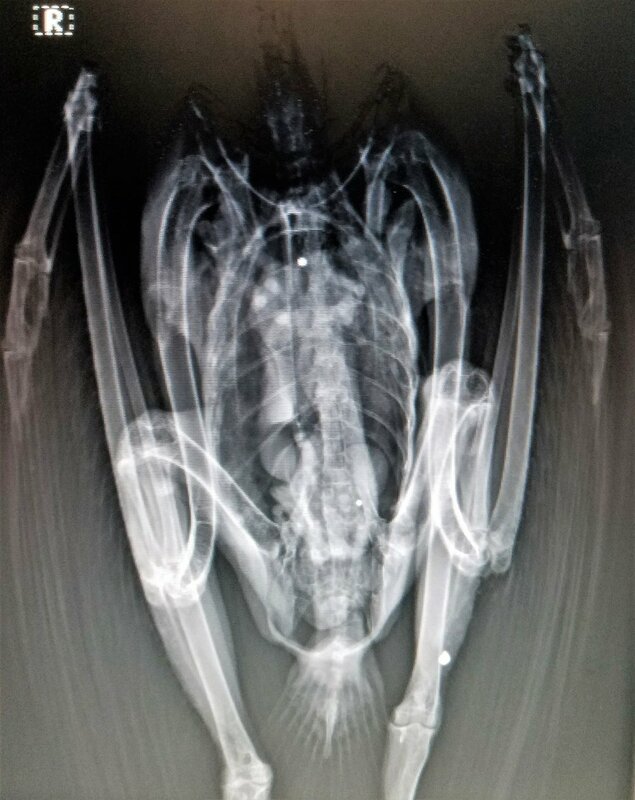 Bald Eagle Shot — Raptor Education Group, Inc.
Another Bald eagle with lead poisoning was admitted. This time the reason for the lead poisoning is sadly obvious. X-rays revealed she was shot. An adult Bald Eagle is a very large bird and has distinctive coloration. Shooting an adult Bald Eagle is no accident it is against federal law. I want to be clear that this was not a hunting accident. A hunter did not shoot this eagle, an idiot with a gun did. This is now a law enforcement case for the reason we will not be able to make further comment on it.